Lagos State PDP says it has become embarrassing to lagosians the manner of arguments and commentaries recently being made by the Governor, Babatunde Raji Fashola, especially on policies of the Fed Government. The party opines that such character is not Only unwarranted, but indeed parochial and unpatriotic. The Party mentioned that the governor in a bid to play to the gallery by satisfying the myopic thinking of his Party's Leadership had indulged in fallacious presentation of facts on National issues. "In recent time, governor fashola has criticised the Federal Government for planning to celebrate 100yrs of the country's existence arguing that the date is of no relevance to the actual existence of the country". Similarly, the governor also posited that: Yes the Economy was growing, but with no growing employment! The Party opines that historians local and international have never controverted the date and fact of the amalgamation of two regions to become a country named as Nigeria in 1914 and by lord Lugard. The occurrence of independence on Oct 1st 1960 referred to by the Governor is Just for personal Administration and thus fallacious as the date to assume Nigeria as a country. Indeed, our forefathers and who fought for our independence were born as Nigerians and indeed referred to our country as Nigeria even before October 1st 1960. 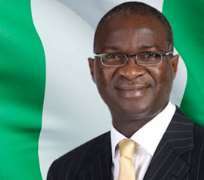 It would be recalled that Governor Fashola while addressing pressmen on Independence day celebration criticised the Federal Government's Plan to mark 1914 as Nigeria's date of Birth. The party has thus consequently admonished the governor to be humble intellectually and more importantly Patriotic. Noting that the governor should desist from generating unwarranted debates in the Polity.